LSN holds a high-profile life science competition at every RESI conference – the Innovation Challenge. Thirty early-stage fundraising companies with top-tier life science technologies are selected as finalists to exhibit a poster display of their programs to hundreds of investors and other conference attendees. These companies compete for the exposure and visibility of being named as the top Innovation Challenge company. So you might ask: out of the hundreds of applications we receive, how do we choose the top thirty? The LSN scientific review team has compiled a list of attributes we look for in a company and its IC application. While the following applies to the Innovation Challenge application itself, the criteria and the tips we provide are also guidelines for companies to use in their fundraising efforts. Much of our evaluation and the questions we ask are based on standard criteria that entrepreneurs will face when speaking with investors. What are the key elements of a high-scoring company? 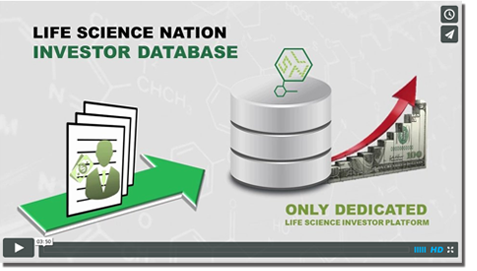 The LSN scientific review team uses a detailed rubric with a 200-point scoring system. Our evaluation process is based not only on scientific merit, but also on how ready the company is to present to an investor (“investor-readiness”). A perfectly scored company would have a transformational technology that can achievably address a highly unmet need using a differentiable, novel approach or target. Alongside high innovation, differentiation, unmet need and market fit, the 200-point company would have a broad IP position, an experienced management team and CEO with top-tier advisors and strategic alliances with manufacturing, commercial or clinical partners. The company will also receive high marks for having what we call “investor-ready” marketing collateral (executive summary, pitch deck, website). Like any marketing material, you need to be clear. Be sure you understand and answer the questions fully. The team has seen unclear descriptions of a company’s technology is and its significance in improving on current technology, making it difficult to evaluate. Be forthcoming in your answers. The team frequently reviews applications that state they have no competitors in the space, when that is not actually the case. Even novel products have competitors; there is a standard-of-care for any given disease or condition. If your product represents an incremental improvement, just say so. It can still be compelling! For example, competitors for your disease-modifying therapeutic may be symptom-treating therapeutics in the same indication that are either commercialized or being developed. You should identify these symptom-treating therapeutics and highlight your novel, targeted approach that makes your product disease-modifying. Explain your current status in detail. Outline everything you have in terms of your current standing, while also providing your outlook on where you hope to go. Avoid ambiguous statements such as, “CEO is an experienced entrepreneur”. Instead, provide details that highlight the CEO’s experience – years as an entrepreneur, number and names of companies exited, background expertise, etc. If you do not have certain criteria, such as a strategic alliance or IP, it’s OK. State your current standing and provide what steps you are currently taking to reach those milestones. For Alliances and Collaborations, state your partners and likely partners (even if you just have a verbal commitment); for IP status, state how many patents you have filed or are planning to file. Providing us with your strategy is better than a simple yes or no. Provide sufficient detail, but no need to overdo it. You shouldn’t finish this application in 5 minutes, nor should it take you 5 hours. Your answers should be brief but detailed. We have received hasty, effortless applications that were subsequently quickly given a low score. On the other hand, as a fundraising company, you shouldn’t need to spend an excessive amount of time on the application. These are all straightforward questions that you should be familiar with and be comfortable answering, as your executive summary should contain all of this information. This application is the backbone of our evaluation process and is, essentially, your executive summary to us. Send us your marketing collateral. If you have marketing collateral, send it. This includes your pitch deck, executive summary, website, videos – any supplemental material that can boost our understanding of your technology and whether your company is investor-ready. The application provides limited space – while this forces you to get straight to the point, supplemental material explains what an application cannot (i.e. figures, graphs, pipeline, non-confidential data, etc.). Overall, applying for the Innovation Challenge is great practice for fundraising companies. For those who have yet to apply, be sure to take note of these suggestions and apply here by October 3rd!